Remember when people used to see movies for movie stars? It wasn’t that long ago. In the summer of 2004, Hollywood sold hits like I, Robot, The Bourne Supremacy, Van Helsing, Dodgeball, and Troy largely on the star-power of Will Smith, Matt Damon, Hugh Jackman, Ben Stiller, and Brad Pitt, respectively. But a decade later, actors seem like the least marketable component of most blockbusters. Nowadays, franchises — like Transformers, The Hunger Games, or The Avengers — are what fill multiplexes, not stars. Just ask Johnny Depp, who, outside of the Pirates of the Caribbean series, seems capable of only bombs like Transcendence (which failed to transcend the $11 million mark in its first weekend) and last summer’s The Lone Ranger (it doesn’t count as a franchise if everybody who remembers it is dead). All evidence seems to agree: The age of the movie star is over. 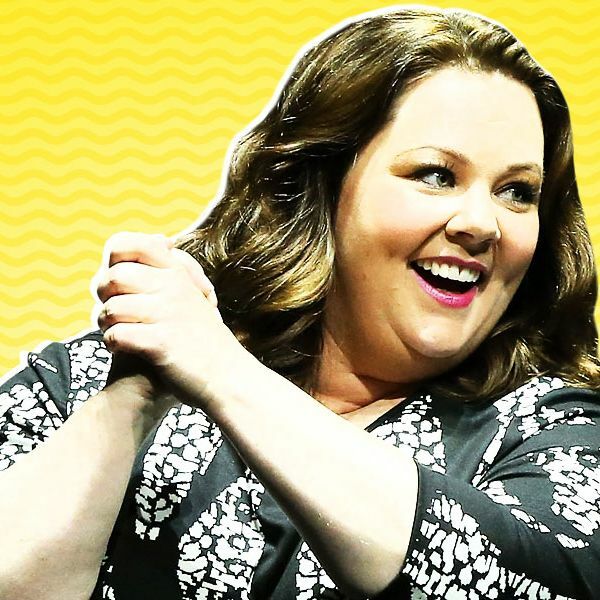 Right now, as we head into summer 2014, there is no other star in Hollywood delivering as consistently, and in such great numbers, and with so little assistance, as Melissa McCarthy. On July 2, McCarthy’s Tammy will arrive in theaters amid high expectations. Her five most recent movies have earned more than $650 million in the U.S., which is remarkable enough on its own. But even more impressive is what happens when you consider only the films in which she was a top-billed star, excluding the hits that had help from a brand name (The Hangover III) or an ensemble cast (Bridesmaids, This Is 40). Comedies Identity Thief and The Heat — which were rated R and had little to recommend them besides the appeal of McCarthy — made tons of money anyway ($135 million and $160 million domestic, respectively). An A-list Director. Leonardo DiCaprio has been wise to align himself with auteurs, like Scorsese, Luhrmann, Nolan, and Tarantino these past few years. Lawrence, too, whose collaborations with David O. Russell earned her back-to-back trips to the Oscars. McCarthy’s Heat co-star Sandra Bullock knew there was little risk in signing up for Alfonso Cuarón’s Gravity, besides maybe losing her lunch in a gyrosphere. A brand-name director can help deliver strong reviews and awards buzz — or at least shoulder responsibility when something doesn’t work (nobody blames Clint Eastwood’s J. Edgar on DiCaprio, for example). An Ensemble Cast. Which Avenger, X-Man, Expendable, Bridesmaid, or member of the Weston family do you blame if an ensemble movie tanks? None! Everybody gets off scot-free. But in Identity Thief and The Heat, McCarthy allows herself no such crutches. After breaking out in Bridesmaids, she’s gone two for two in movies that put her stardom directly to the test — no franchises, no ensemble casts, no top directors, and certainly no Oscar buzz. Identity Thief was a particularly impressive feat: Was there any good reason to see this catastrophically reviewed, non-sequel comedy from an un-famous director apart from the presence of McCarthy? With due respect to co-star Jason Bateman — who is delightful but not really a draw — no, there was not. She carried the whole thing. The Heat had Bullock and slightly better reviews, sure, but if you’re looking to assign credit for its success, we’d still give most of it to McCarthy. Bullock is hit-and-miss at the box office, and wasn’t able to sell audiences on stinkers like All About Steve or Extremely Loud & Incredibly Close, like McCarthy did with Identity Thief; McCarthy, we’d wager, is the bigger star. There are a few others who can still sell tickets on name alone, under exactly the right circumstances. Denzel Washington can usually scare up $80 million or so in medium-budget thrillers like 2 Guns, Book of Eli, and Unstoppable. Have Liam Neeson karate-chop a few hundred Europeans to death and you’ll never do worse than $60 million. Will Ferrell, with just the right amount of stupid, can crack $100 million (but watch out if he’s the wrong amount of stupid, as in Land of the Lost, Semi-Pro, or Casa De Mi Padre). Adam Sandler was doing okay until That’s My Boy and Jack and Jill bombed (which scared him into doing his first-ever sequel, last year’s ensemble comedy Grown Ups 2). Who’s left? Depp, Matthew McConaughey, Tom Cruise, Will Smith, Julie Roberts, Tom Hanks, Meryl Streep, Jennifer Aniston, Cameron Diaz, Clint Eastwood, Channing Tatum, Kevin James, Mark Wahlberg, Ben Affleck, Hugh Jackman, George Clooney, Matt Damon, Angelina Jolie, and Sandra Bullock? Their track records are all erratic, and each has at least one recent major flop on their résumés. Nobody’s doing it quite like McCarthy is right now. But what about the international box office, where Tom Cruise and Angelina Jolie sell most of their tickets? We’ll admit that McCarthy isn’t much of a threat overseas, but that’s mostly because American comedies never perform well outside of the U.S., so it’s hard to blame her. (And to be fair, take Cruise or Jolie out of their action tentpoles and put them in quiet dramas, and foreign crowds don’t pay them much attention either.) We’ll also concede, of course, that a true measure of McCarthy’s stardom might be impossible, with so few of her rivals willing to test themselves outside of franchise roles. (Maybe ticket-buyers really do like Lawrence, DiCaprio, and Downey better than McCarthy, even if those actors are cowardly hedging their bets by starring only in sure things.) Furthermore, the public is fickle, especially when it comes to comedy, and could turn on McCarthy any minute — ask Sandler, or Jim Carrey, or Robin Williams, or Eddie Murphy, all formerly unstoppable. But still, if we had to bet on just one star this summer, it’d be McCarthy. In Tammy, she stars as yet another charmingly uncouth woman prone to pratfalls and foul-mouthed outbursts. The director is her husband, Ben Falcone, making his behind-the-camera debut. Judging the trailers, it does not not look like something critics will enjoy. The supporting cast — Susan Sarandon, Dan Aykroyd, Nat Faxon — is totally negligible. Nevertheless, it should make at least $150 million, and all the credit will go to McCarthy. Because why else would anyone see it?